The trailer takes you back to the pre-independence era of World War II and essentially revolves around a love triangle. 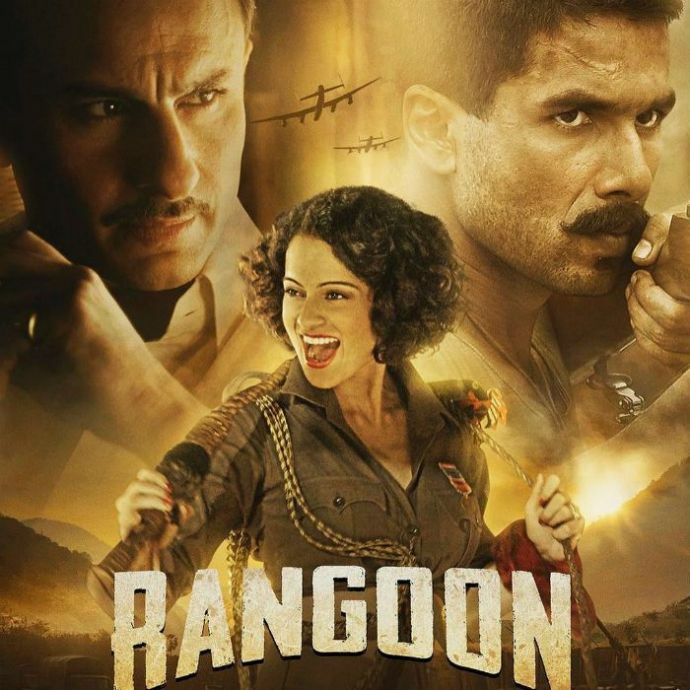 After teasing us with three posters of the most awaited film of 2017 staring Kangana Ranaut, Saif Ali Khan and Shahid Kapoor, Rangoon trailer is finally out. The first look of the film shows the time during World War II when India was still fighting for its freedom. The film is a love triangle between Kangana Ranaut as "Miss Julia", Shahid Kapoor as "Nawab Malik" and Saif Ali Khan (screen name not revealed). The 3.20 minutes trailer is quite long and shows almost everything about the film. The trailer is like a rollercoaster ride for the viewer. Kangana aka Queen aka Miss Julia is looking stunning as a vintage girl playing a role of ambitious actress of Bombay. Saif and Kangana love each other but destiny had some another plans for them. Here enters Shahid Kapoor as Nawab Malik - a soldier who takes the film into another direction. The film is directed by Vishal Bhardwaj and produced by Sajid Nadiadwala and Viacom 18 Motion Pictures. Rangoon will be hitting theaters on 24th February. Watch the Rangoon trailer and tell us how you find it in the Comments!